Gil Brandt, Cliff Harris, and Everson Walls were inducted into the Texas Sports Hall of Fame Thursday. 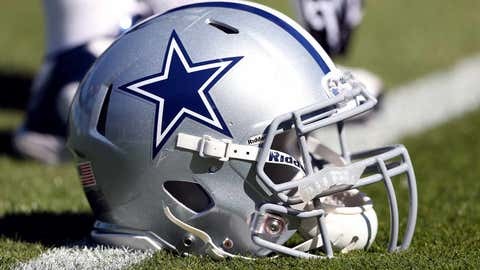 The ex-Cowboys were among eight total inductees in the Hall of Fame’s 2015 class. "It’s a great honor for me," Harris said. "You know, look at the list of the legends that are in there; just incredible. All these things have been happening really another lifetime ago. And this is a real topper for that little spurt that I had." Harris played safety for Dallas from 1970-79, racking up six Pro Bowls and four All Pros. He is also one of 10 Cowboys to have been a part of both of the club’s Super Bowl winners in 1971 and 1977. "Cliff was a great player," former teammate Walt Garrison said. "I mean, a free agent from Arkadelphia, Arkansas, a county son-of-a-buck that come in and he would hit you. That was how he got the nickname ‘Crash’ because he would hit you and hurt you. And he was a great defensive back." Named to the NFL 1970s All-Decade Team, such a spectacular career may not have been possible without the scouting innovation of then-Cowboys VP of player personnel, Gil Brandt, who held that post from 1960-88. "One of the coaches said, ‘You got to look at this tape,’" Brandt recalls. "It’s Cliff running and he returns two kicks for a touchdown." "Gil had the know-how and understanding that there were great players not just in small colleges, but other sports," said Harris. "He built the foundation of the uniqueness of the Dallas Cowboys that during that era when we first started being known as America’s Team." Brandt remembers signing the 22-year-old Harris to a $500 contract. "The most expensive thing wasn’t the signing bonus, but getting tickets for his whole family. That cost more than the signing bonus." Another undrafted product Brandt’s scouting system culled was Walls. "It shouldn’t have taken a rocket scientist," Walls said. "I led the nation in interceptions! So, I was out there for anyone to see. My thing was, ‘How in the hell did they not draft me?’"
Walls exploded onto the scene in Dallas, leading the league as an undrafted rookie with 11 interceptions. He followed up the performance with a seven-pick season in 1982, which also led the NFL. As a native Texan who attended Dallas-area Richardson Lloyd V. Berkner High School and live two miles away from the Cowboys practice facilities, playing for the hometown team was beyond even a screenwriter’s imagination. "Some of the older players, when I was like 10 years old, some of them used to come down to my mom and dad’s hamburger joints for lunch," said Walls. "It was almost like they were waiting on me to make my move. I don’t know if that was the case." Walls had the fortunate of playing under legendary head coaches in the NFL such as Tom Landry, Bill Parcells, and Bill Belichick. Even at Grambling, Walls played numerous positions under head coach Eddie Robinson. "He wasn’t just a good coach. He was articulate. He was funny, and he was a guy you could sit down and have a cup of coffee with. And he would tell you stories all day long you would never forget. "He would be so proud. I think he made a quote. He said, ‘Hell, Everson Walls had stars in his eyes when he came to Grambling.’"